Rumor: Zune To Feature Pyramid-Like Marketing Feature | OhGizmo! By David Ponce on 10/25/06 • Leave a comment! Well, it’s a bit of a stretch for a headline, but hear us out. 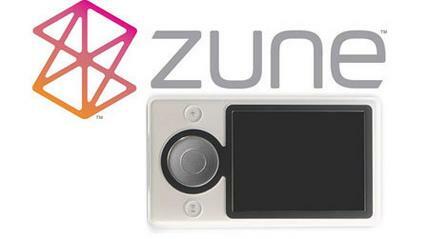 The guys at CrunchGear are hitting the rumor mill with news that the upcoming Microsoft Zune will come with a very interesting ability, one that just may give it an edge over the unmentionable white music monolith (at least if we ignore the crippled WiFi). Here’s how it goes. You already know that with the Zune, you can share your songs with other people. They can keep them for three days, or listen to them three times, after which they auto-destruct. If your friends wants to keep any given song, it’ll cost them, to the tune of a buck. But, the kicker is that, each time they do purchase a song, you’ll get a credit. You can later redeem these credits yourself for songs in the Zune Marketplace. This should give you an incentive to share like mad, in the hopes that your friends will buy. If the scheme works, it should make some mad cheddar for Bill and friends. But of course, it’s a rumor, and we don’t really know anything around here. So, there you have it.